Located in Indian River County, Vero Beach is a beautiful coastal town with a year-round population of 15,220. Vero Beach’s economy is centered around tourism, the citrus industry, and the service industry. 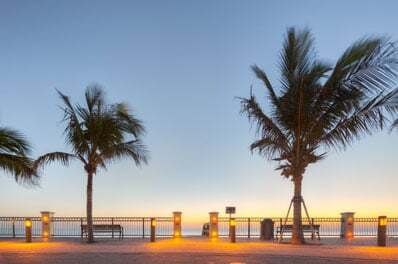 Vero Beach’s beautiful beaches and museums, art galleries, and parks as well as opportunities for golf, water sports, and fishing make it a wonderful place to live and visit. All Points Mobile Shredding has served Vero Beach since 1994, and are proud to provide its businesses and residents with outstanding customer service, competitive pricing, and full-service document shredding services. All Points Medical Waste offers is a woman-owned and operated business offering full medical waste disposal and compliance services to our clients, who range from small to mid-sized medical waste generators. We will provide training for your employees on how to handle sensitive documents as well as assist you with your policies and procedures. We are more than just another medical waste company; we are committed to being your full-service medical waste disposal experts. Because the law requires responsible disposal of medical waste, we know how critical it is that you choose the best medical waste company for your needs. After all, you are responsible for the medical waste your organization produces, from its creation all the way to disposal. Our team will properly transport and dispose of all your medical waste and sharps and provide online compliance training for MSDS, DOT, Safety Plans, HIPAA, Bloodborne Pathogens, and more. We are also proud to offer on-site document shredding and hard drive destruction to provide your organization with a complete security solution. All Points Medical Waste is proud to employ customer care representatives and drivers who have served in the U.S. military. Every staff member is background-checked and drug tested regularly as a condition of their employment. If you are interested in All Points Medical Waste services in Vero Beach, please contact us by phone or complete the form on this page.